Sponsor Mudlark’s Youth Board by clicking here! 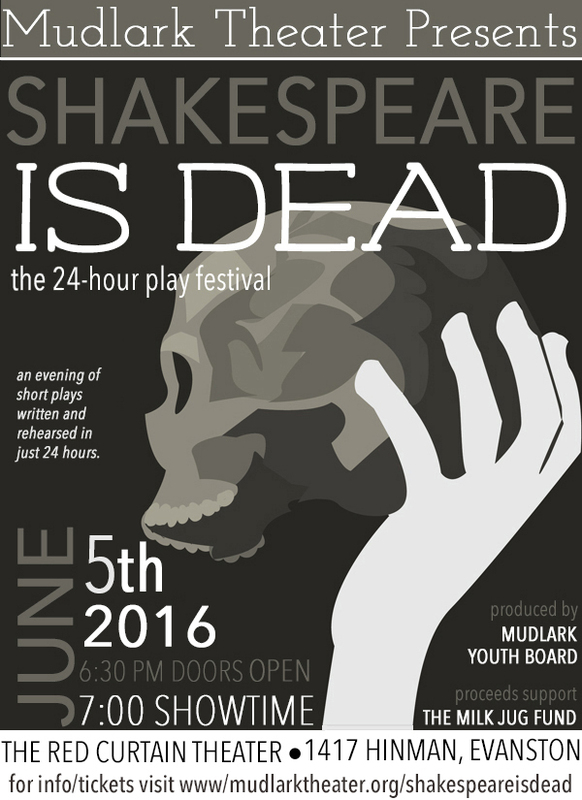 “Shakespeare is Dead” is Mudlark’s first 24 Hour Play Festival. What is a 24-hour play festival? It is a challenge: Create a 10-minute play, from scratch, in a 24 hour period. That means all of the writing, rehearsing and technical elements happen within one day! Our 24-hour play festival will give a nod to the 400th anniversary of the bard’s death by choosing an iconic prop, line or costume piece from one of his plays as the inspiration for our playwrights who must integrate that prop, line or costume piece into the final performance.